They're invited! Beth Leavel, Brooks Ashmanskas and Christopher Sieber will reprise their roles from the Alliance Theatre world premiere in the Broadway production of the new musical comedy The Prom. As previously reported, the musical is scheduled to open on November 15 at a Shubert venue to be announced. 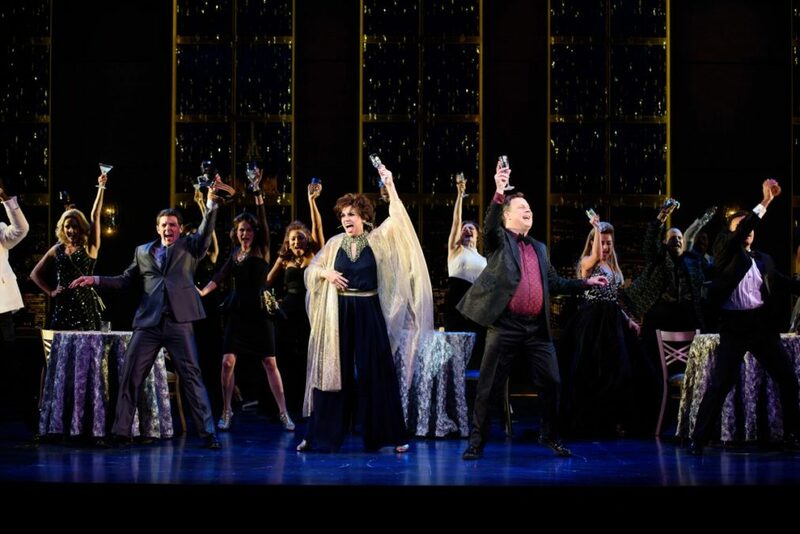 Directed and choreographed by Tony winner Casey Nicholaw, The Prom features a book by Tony winner Bob Martin and Tony nominee Chad Beguelin with music by Tony nominee Matthew Sklar and lyrics by Beguelin. Also returning to The Prom on the Great White Way are Caitlin Kinnunen as Emma, High School Student Banned from The Prom, Angie Schworer as Angie, Broadway Chorine, Courtenay Collins as Mrs. Greene, President of the PTA and Josh Lamon as Sheldon Saperstein and Broadway Press Agent with a Plan. New to the cast is Michael Potts (The Book of Mormon, Jitney) as Mr. Hawkins, High School Principal (and Theater Fan) and cast member Isabelle McCalla is now playing the role of Alyssa Greene, Head of Student Council with a Secret. Leavel, who will be reprising the role of Tony Award Winner Dee Dee Allen, received a 2006 Tony Award for her performance as the titular character in The Drowsy Chaperone. She garnered a 2011 Tony nomination for her performance in Baby It's You!. Her other Great White Way credits include Bandstand, Elf, Mamma Mia!, I, the 2001 revival of 42nd Street, Crazy For You, The Civil War, Showboat and the original Broadway production of 42nd Street. Ashmanskas, who will be playing Drama Desk Award Winner Barry Glickman, was last seen on Broadway in the 2017 revival of Sunday in the Park with George, starring Annaleigh Ashford and Jake Gyllenhaal. His other numerous Broadway credits include Shuffle Along, or, the Making of the Musical Sensation of 1921 and All That Followed, Something Rotten, Bullets Over Broadway, Promises, Promises, Present Laughter, The Producers, Gypsy, Little Me, On The Twentieth Century, Martin Short: Fame Becomes Me, for which he received a 2007 Tony Award nomination, and more. Sieber returns to the role of Trent Oliver, Esteemed Julliard Graduate/Cater Waiter. He was last seen on the Great White Way in Matilda. He received Tony nominations for his performances in Shrek and Spamalot. Sieber's additional Broadway credits include La Cage Aux Folles, Chicago, Thoroughly Modern Millie, Into the Woods, Beauty and the Beast, Triumph of Love and A Christmas Carol. In The Prom, when Broadway’s brassiest stars get word that a student is unceremoniously sidelined from a small-town Indiana prom—and that the press is involved—they gear up to save the day. The Prom is based on an original concept by Jack Viertel.